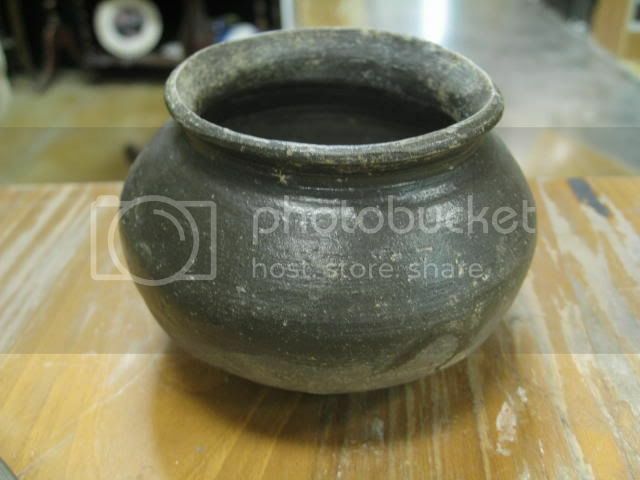 Asian antiques have been collected though out the centuries for their fine workmanship and very early place in history. 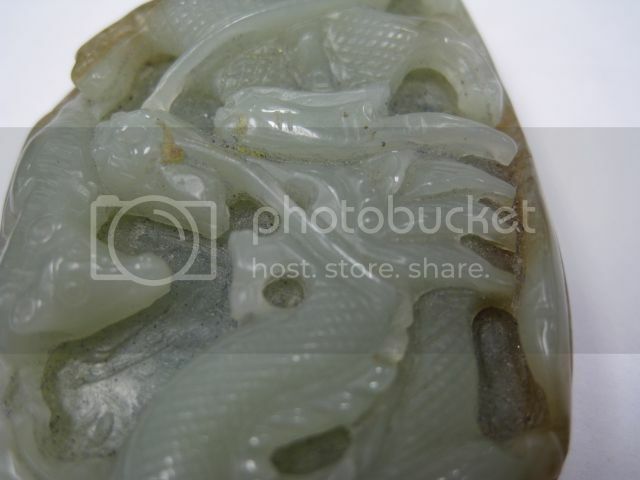 Today antique Chinese porcelain and jade as well as antique Japanese dragon are very collectible. 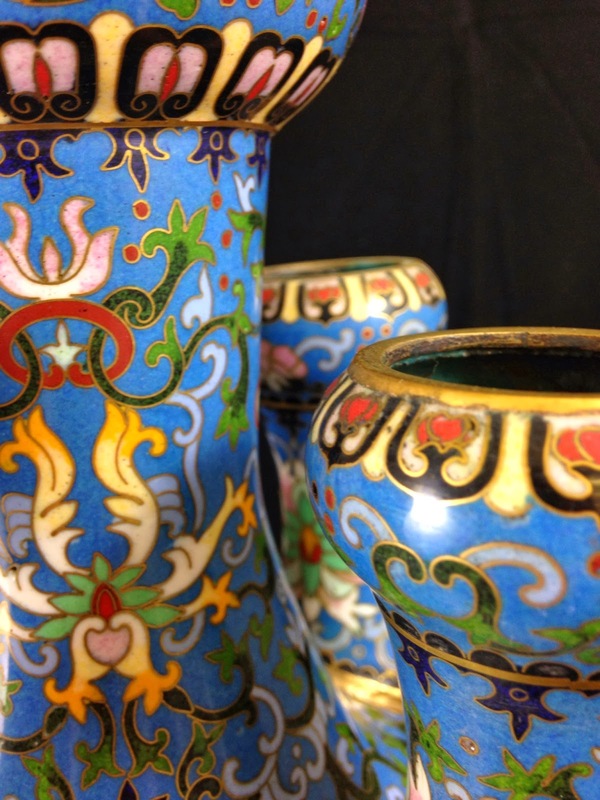 Asian antique Cloisonné Vases just into our antiques mall from a local estate buy. 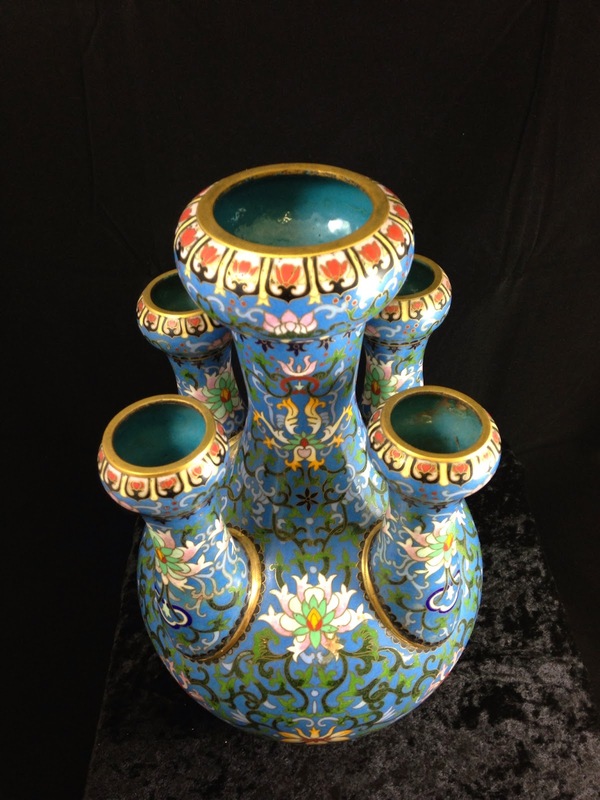 Each piece was well cared for and is in great condition with magnificent colors. You can see these three pieces below and our video of them. 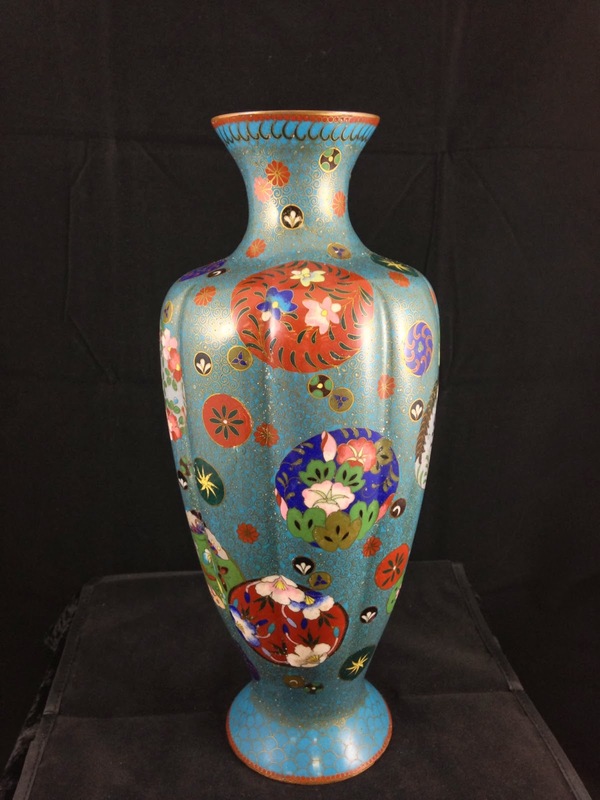 A magnificent antique cloisonné vase in rare garlic head form. It is particularly unusual due to the additional four garlic head necks surrounding the large central one. 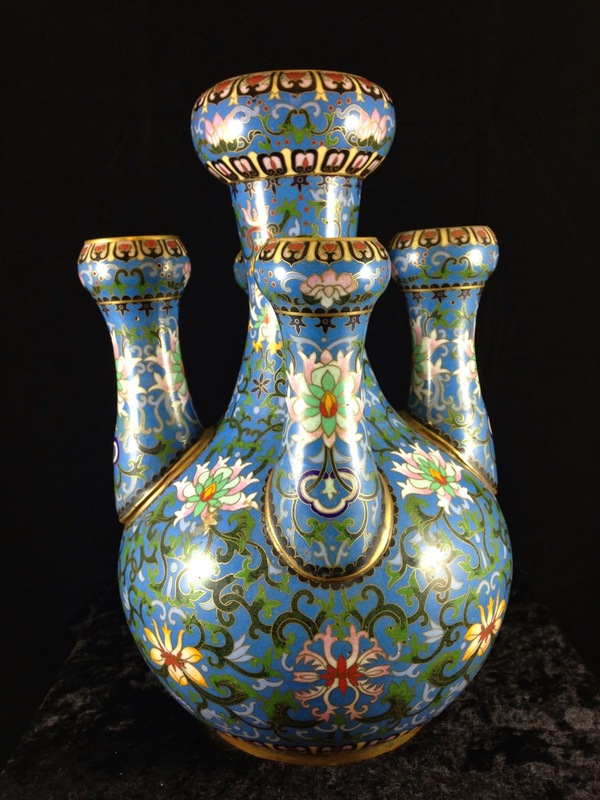 Imagine the fabulous presentation with five large flowers emanating from each neck. Condition is very good with no dents or dings. 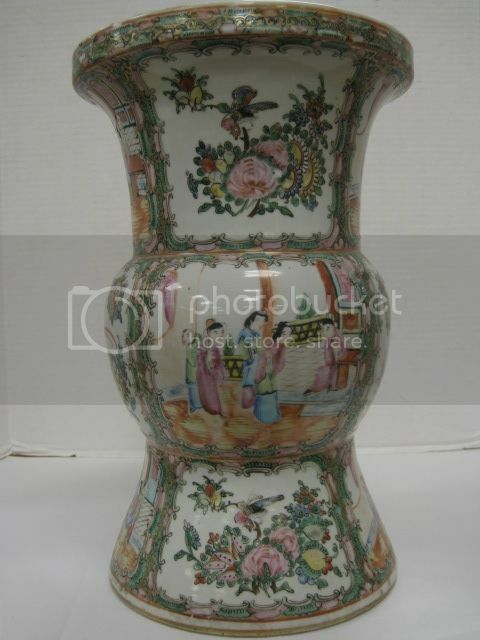 This vase dates from the late 1800s or first quarter of the 1900s. 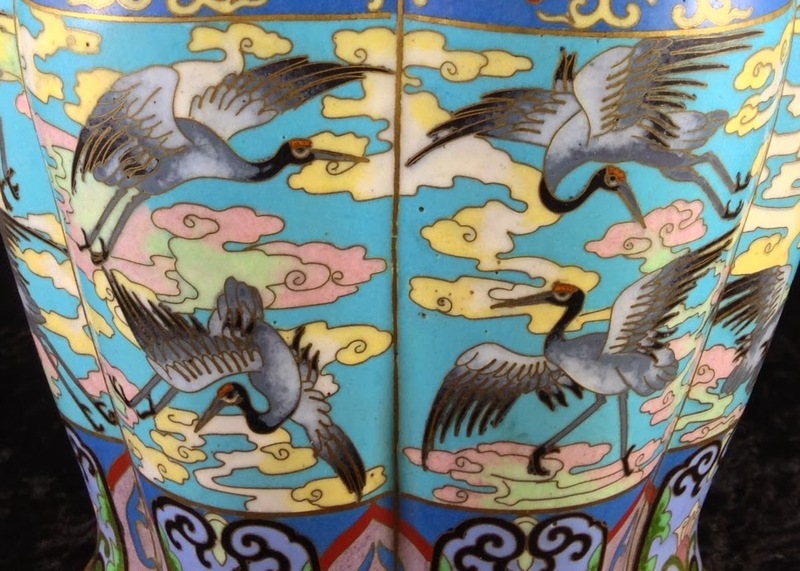 It is signed with Chinese characters on the base and was painted in enamel with stunning colors and subtle shading for a spectacular effect. 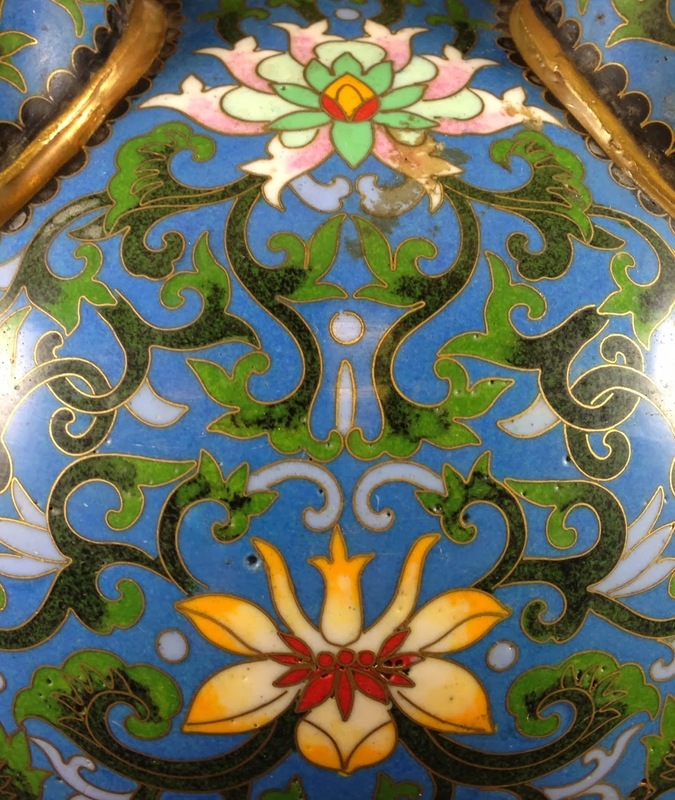 Chinese antique lobed cloisonné vase. It is particularly beautiful due to the rare flock of 10 flying storks on the sky blue background with interspersed clouds in soft pink greens and yellow. Of course, we shouldn't forget the pine tree on the central lobe. Condition is very good with no dents or dings. 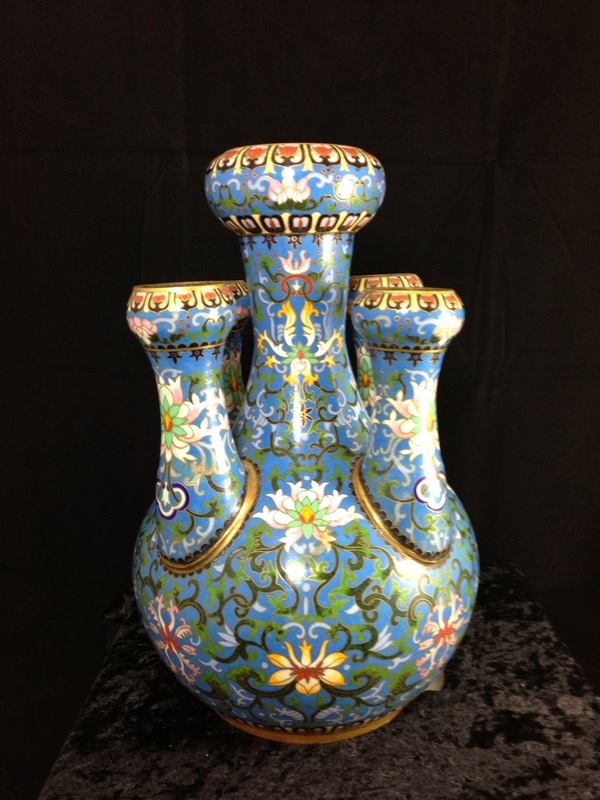 This vase dates from the late 1800s or first quarter of the 1900s. 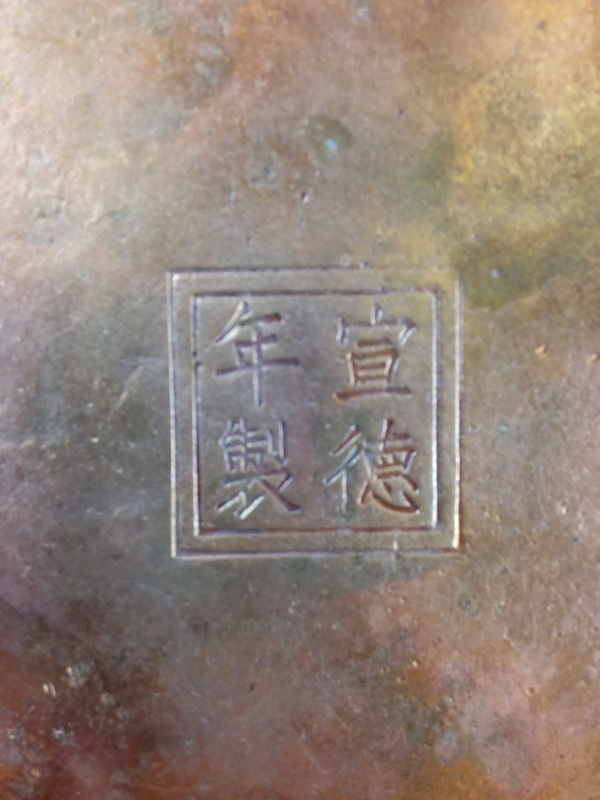 It is signed with Chinese characters on the base. 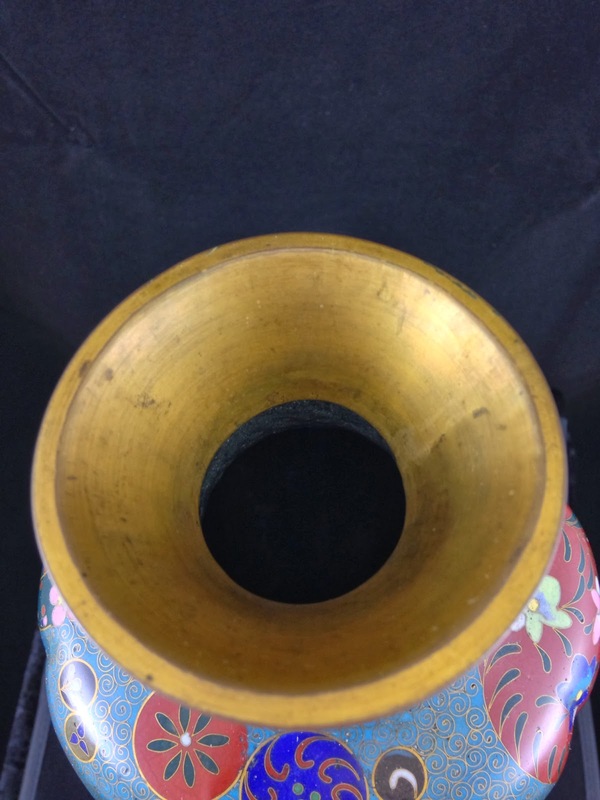 This beauty measures approximately 12 inches tall and was made with the care & quality that is hard to find today. 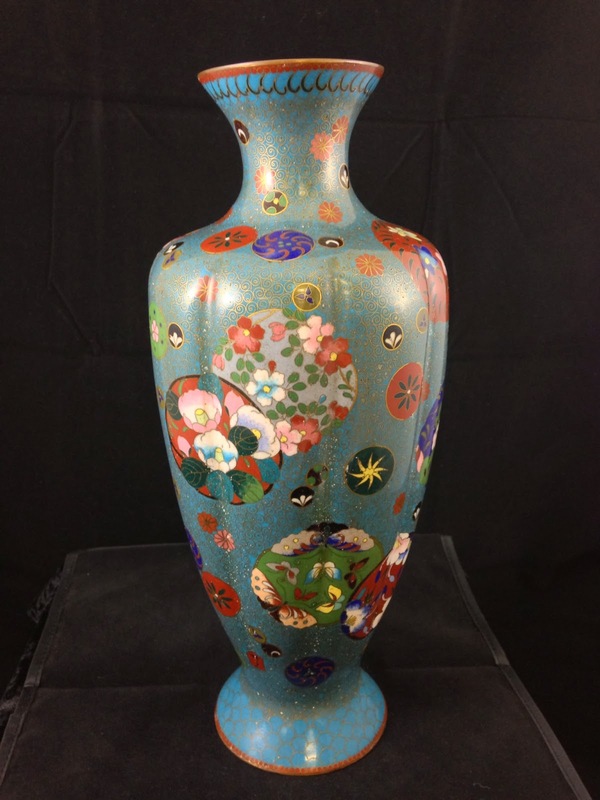 A tall and elegant antique Japanese cloisonné vase. It's a beautiful upward tapering shape with eight gentle lobes forming the body. Circular medallions filled with beautiful flowers float randomly around the surface. Condition is very good with no dents or dings. 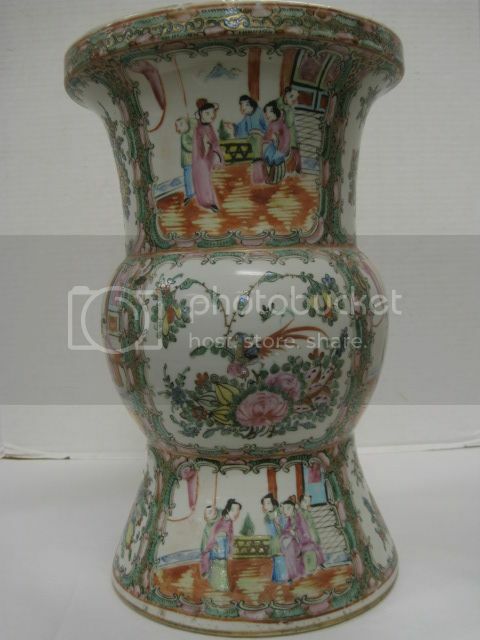 This vase dates from the late 1800s or first quarter of the 1900s. 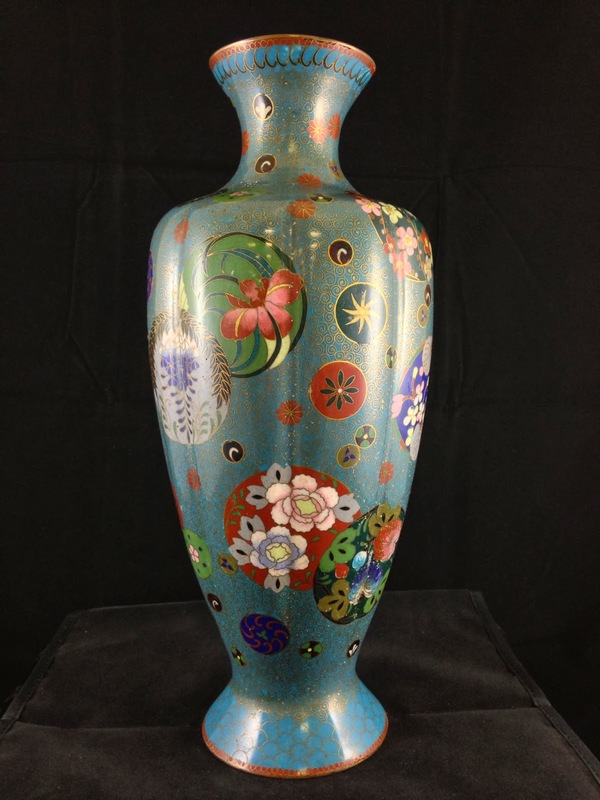 It is signed with Japanese characters on the base and was painted in enamel with stunning colors and subtle shading for a spectacular effect! Click the images to enlarge the pictures. Antique Chinese foo dogs from our antiques mall. They stand about 3 feet tall and are ready to guard the entrance to a luxury garden, the lobby of a hotel or your very own home. 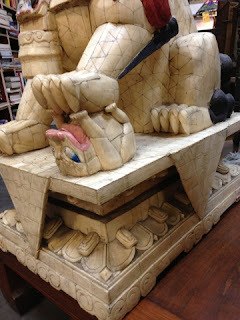 They are made from hundreds of carved bone tiles. You can only imagine how long it would have taken to make these. You are guaranteed to be the only one on the block to own some like these. 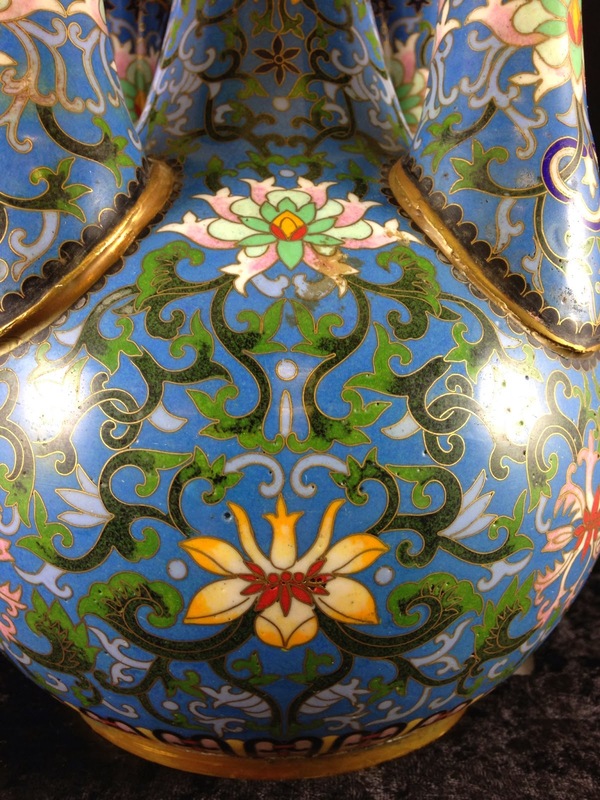 Click here to see our Asian antiques, Foo dogs blog post! 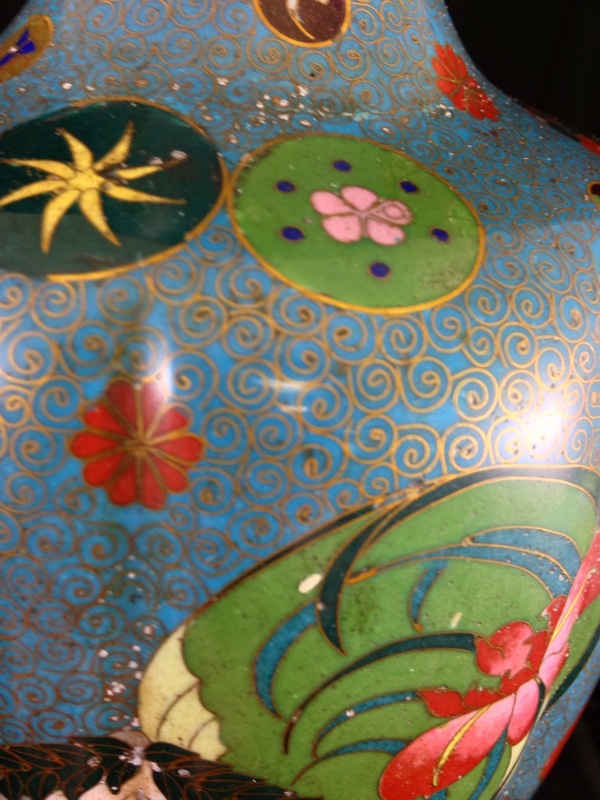 These three antique Asian fans have just come in and they are very special. 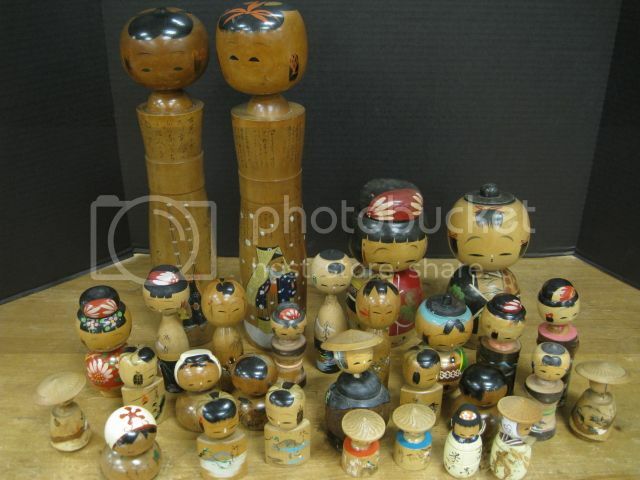 Each one is in original case with Chinese writing and scenes. The three fans are also unique. 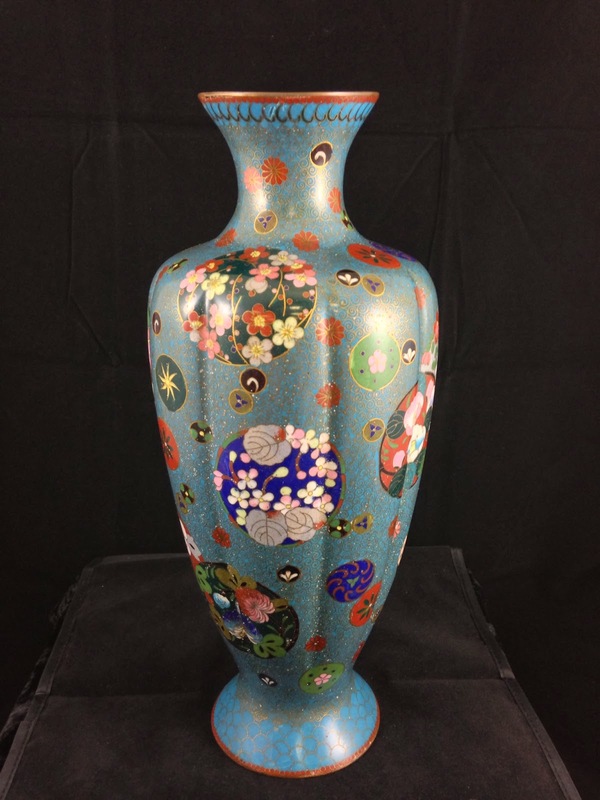 Please take a moment to watch our video on these beautiful Asian antiques. 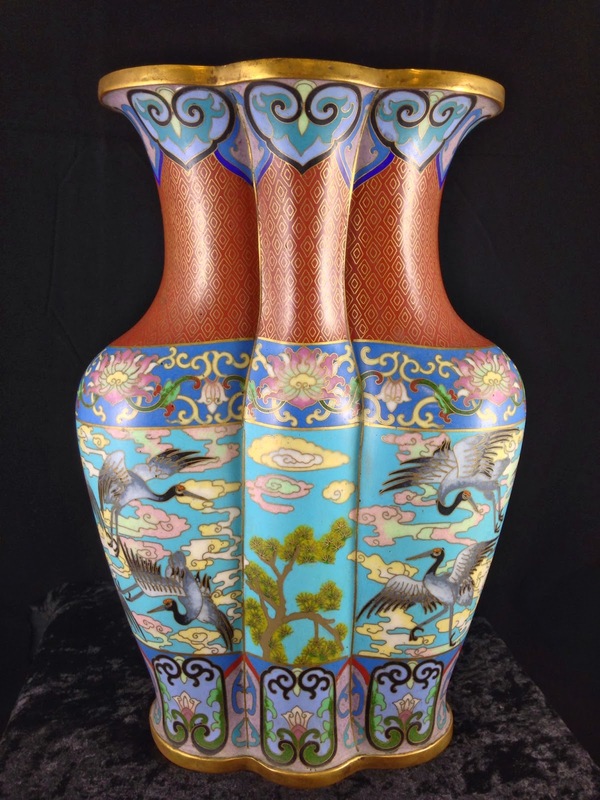 This is an amazing pair of Antique Asian Chinese Lacquer Cinnabar Vases we just got into our antiques mall. 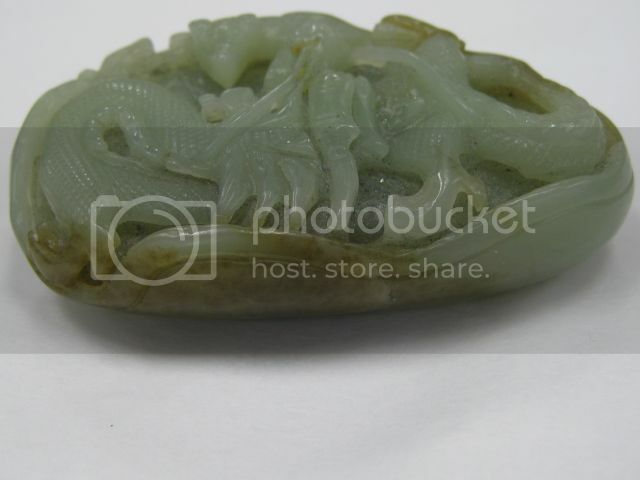 They are a beautiful and classic form with the rare garlic bulb top which is seldom seen. What's also special is that they come each with the matching stand. They have three layers of decoration starting with a wood base that is intricately carved In an over all geometric pattern. Next there is a layer of carving which is the background in black lacquer. The foreground is in red cinnabar lacquer to give a great dimensional look and feel. 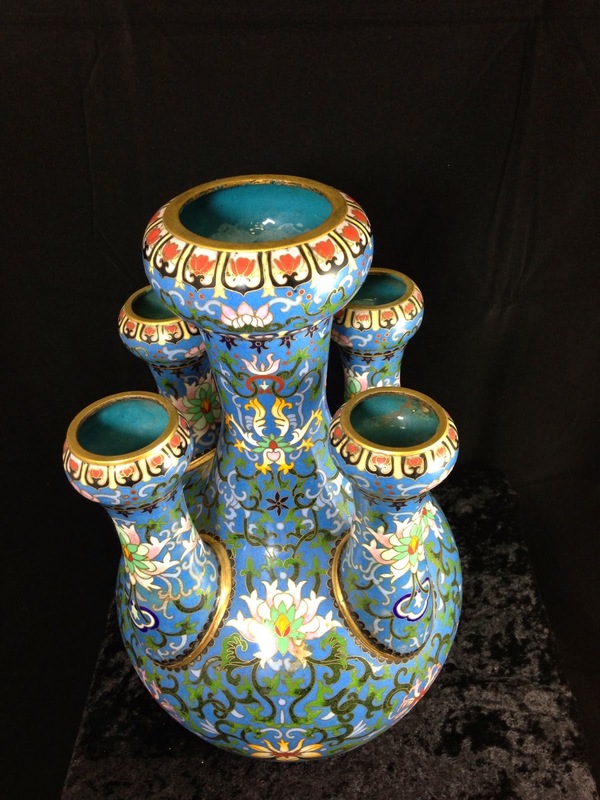 There are six individual figural landscape scenes on each vase. 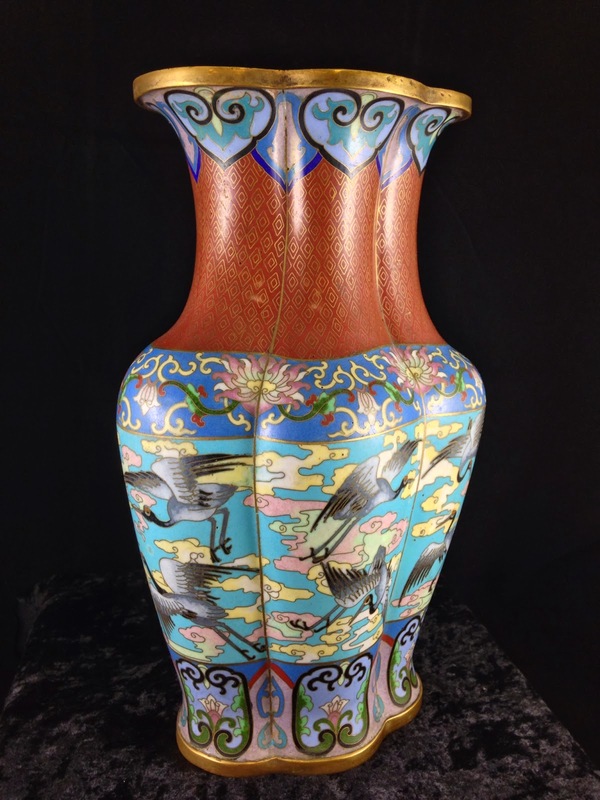 Click here to see our Antique Chinese Lacquer Cinnabar Vases Facebook Album! Antique china piece just into our antiques mall. This amazing piece stands about 15" tall and is in great condition for its age. 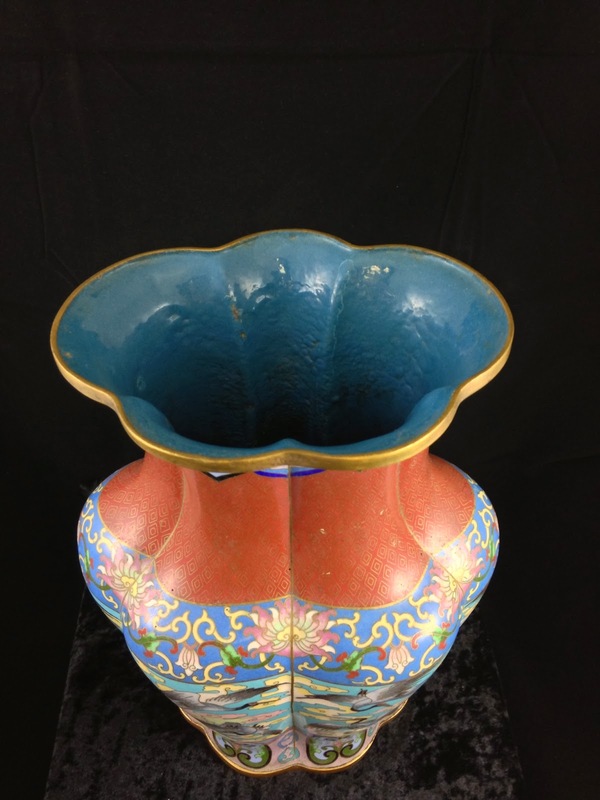 This vase dates back to about 1890 to 1915. 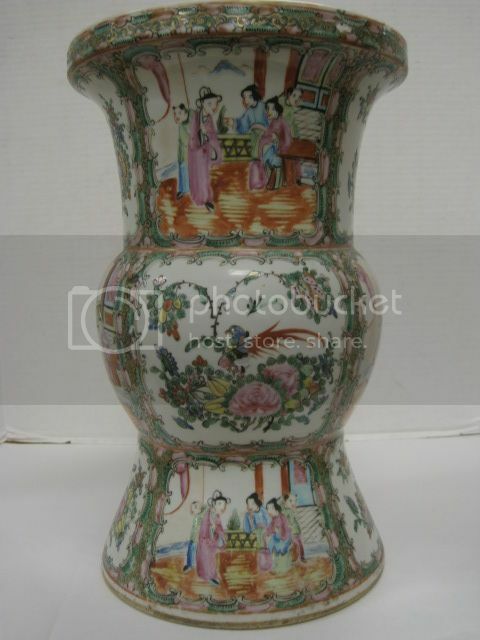 We also buy antique china and offer free antique appraisals. 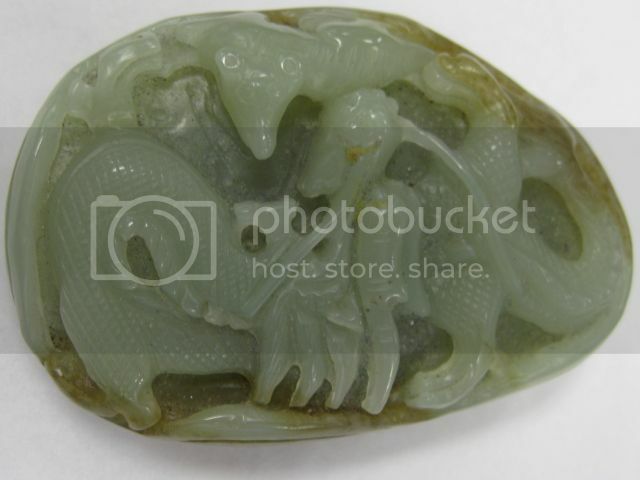 It has a dragon (Sign of Royalty) and bat (Good Fortune) on one side and a bat with wings spread on the other. Antique Chinese silk robe in excellent condition with an array of beautiful colors. Antique foo dogs in great condition and from the late 1800's. 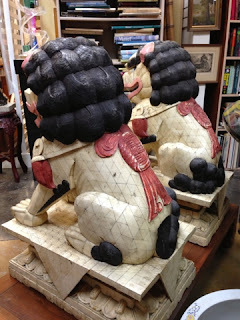 Our video of these foo dogs. 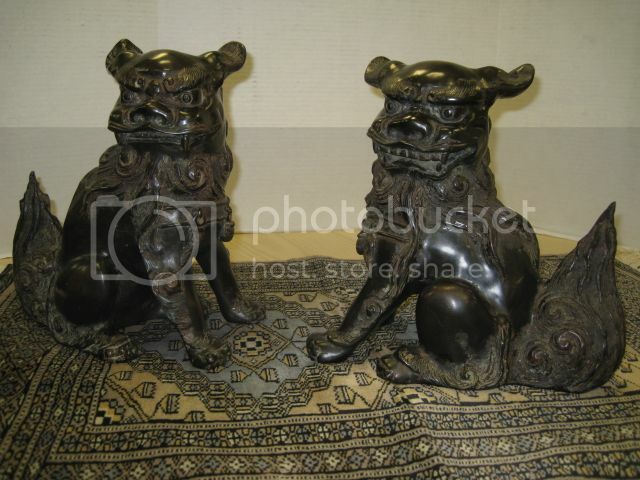 This is an amazing pair of antique bronze foo dogs we just got in. They are very detailed and quite heavy. 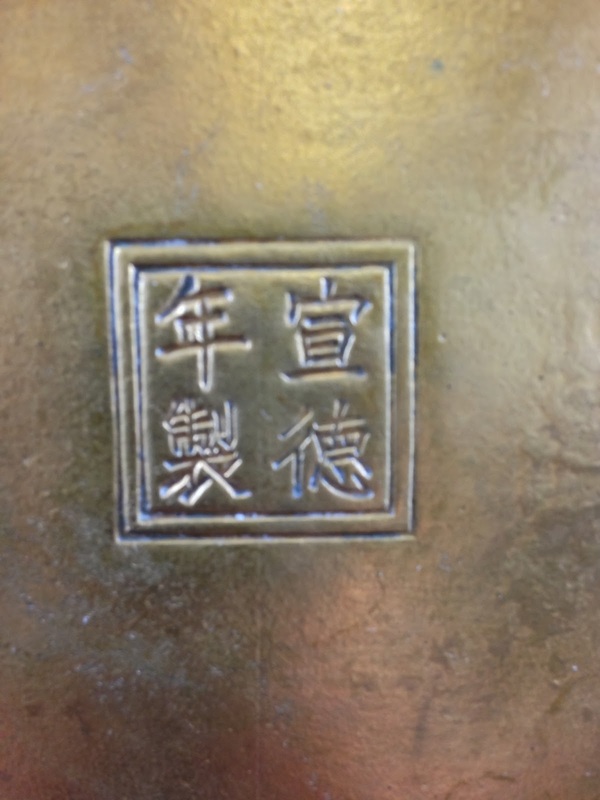 We buy Asian Antiques! 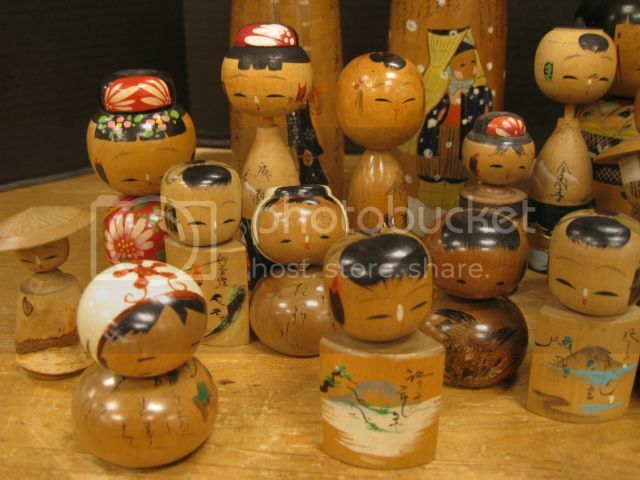 This is a very nice collection of vintage and antique wooden Asian and Japanese dolls just into our antiques mall. Our video on these Asian Dolls! 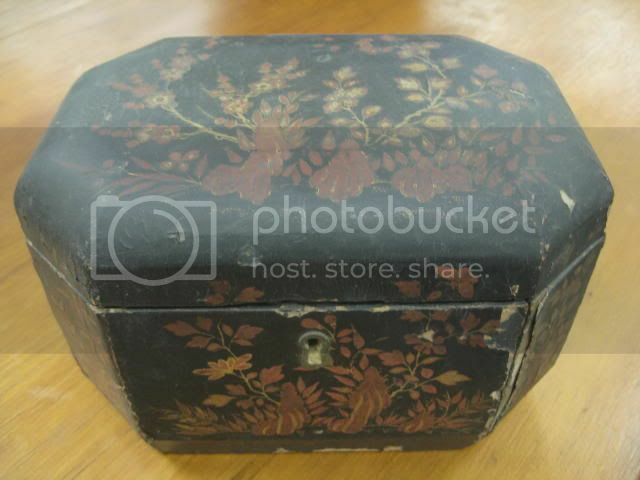 Here are three nice Asian Antiques a box with lid, ginger jar, and earthenware. 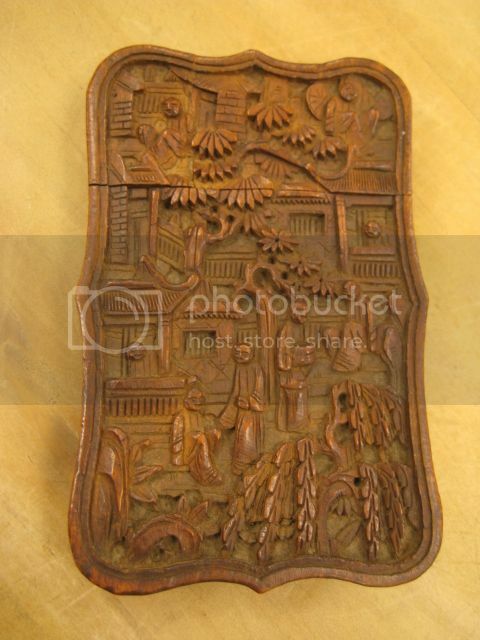 Chinese Carved Sandalwood Card Case Box! 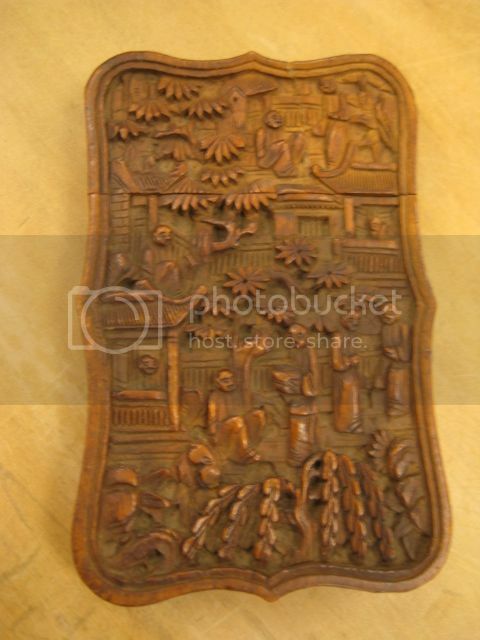 This is a very detailed hand carved Chinese wooden box. 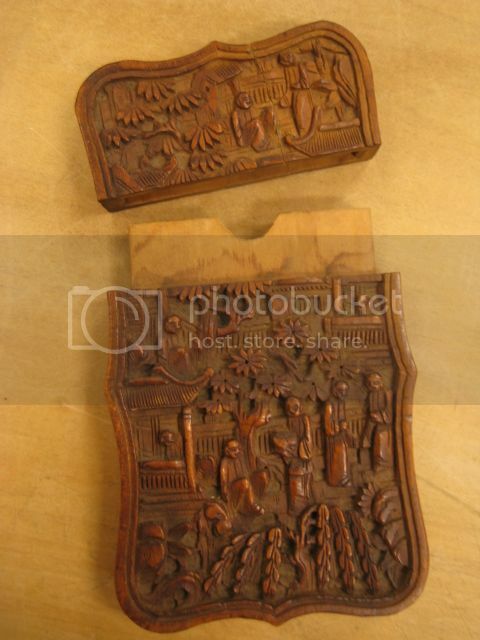 It has very elegant deep carvings of a nice village scene. This is a great piece we have displayed inside of our huge antiques mall. 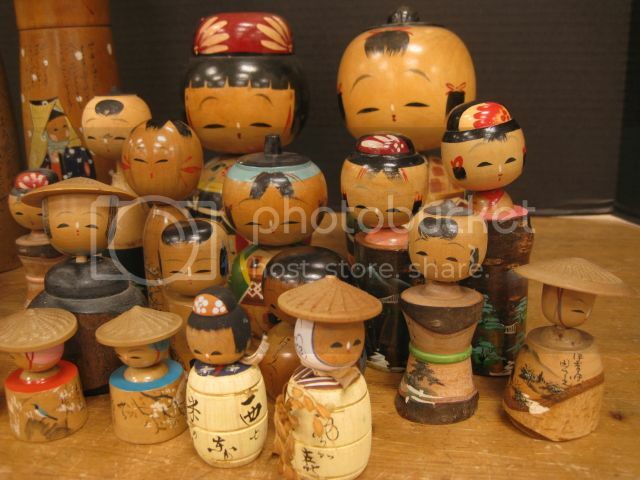 Antique Chinese Roof Tile Figurines! 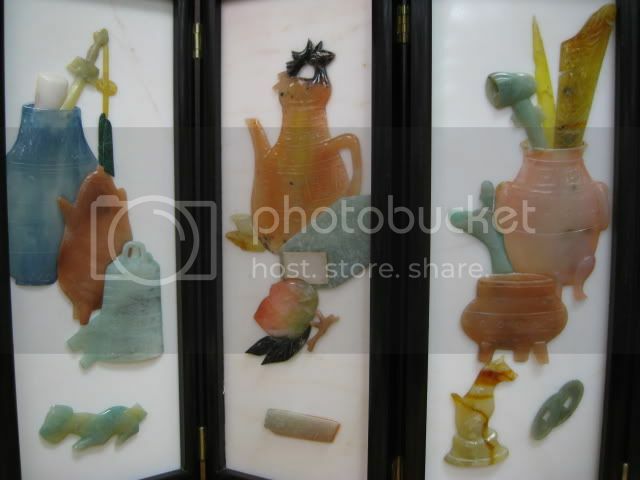 These are three antique Chinese roof tile figurines we have. 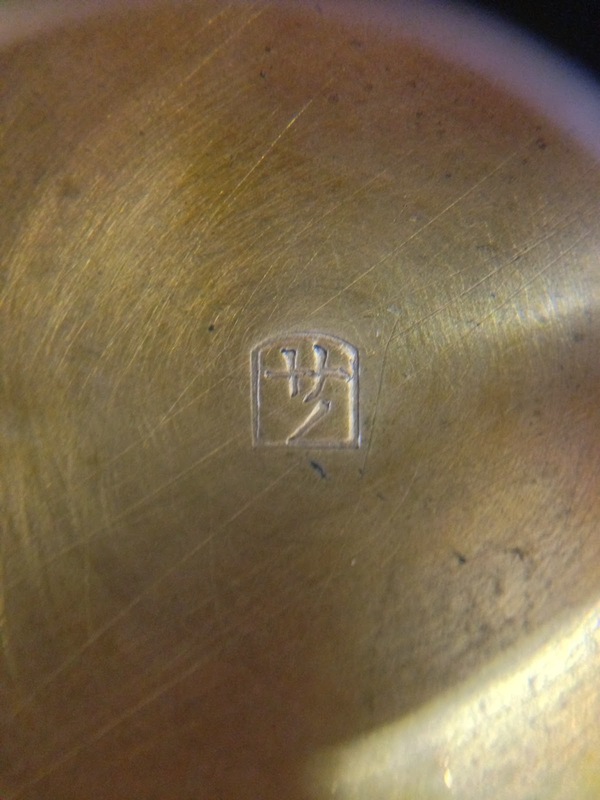 They have great detail and are from the 19th century. Vintage Marble & Jade Chinese Screen! 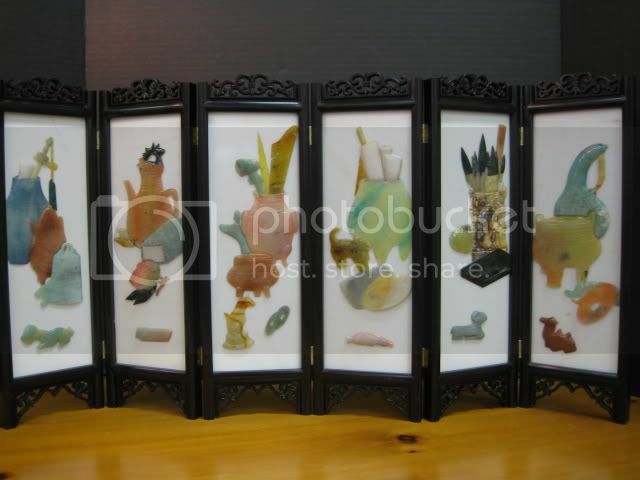 This is a nice miniature chinese screen with marble and jade. It measures 14"X28" and looks great. This is a very fine silk Chinese screen from our antiques mall. 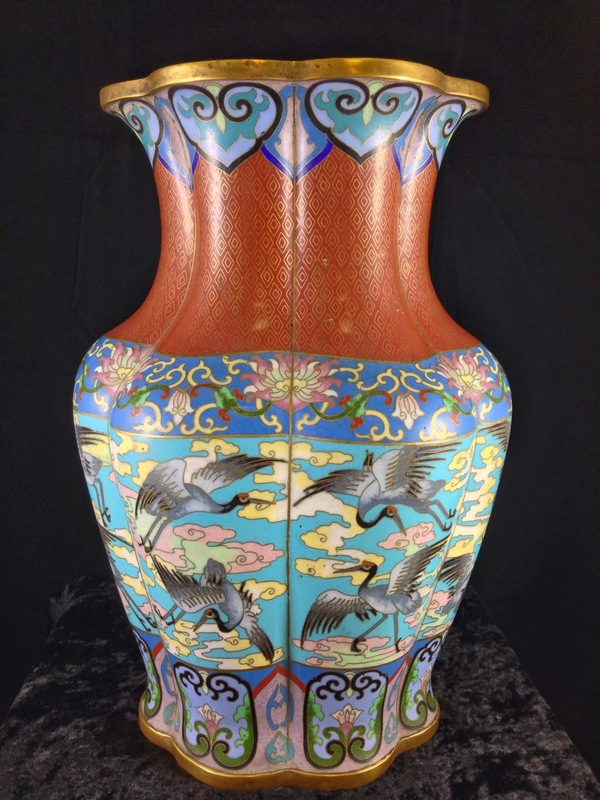 It's just one of many beautiful Asian pieces we have on display now. You can also see some of our pieces online. 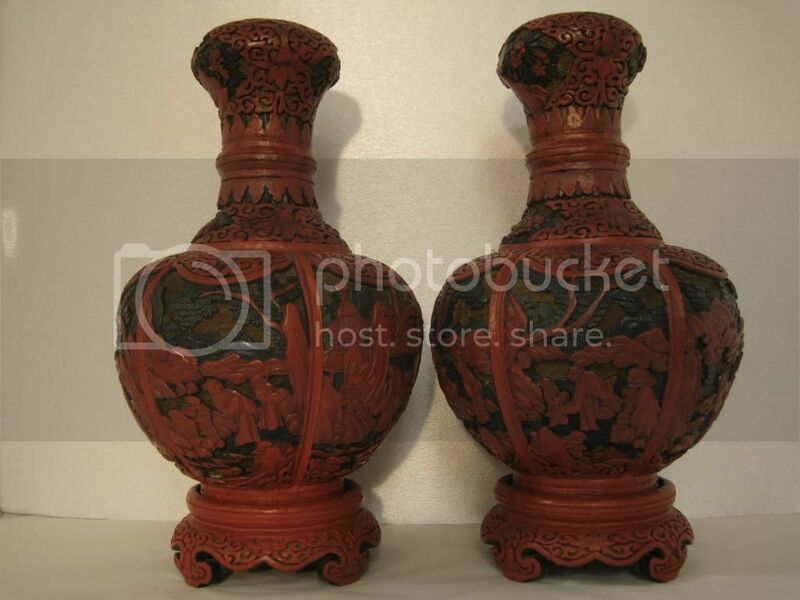 This is a beautiful pair of bronze Asian art vases. They have amazing details with phoenix and dragon images on them. 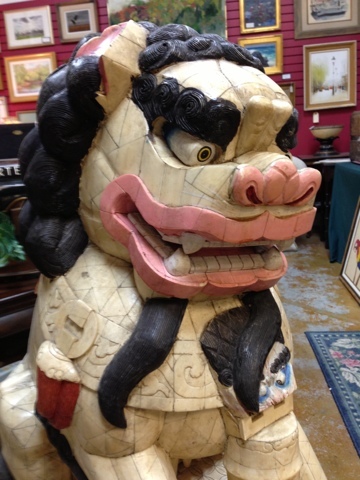 Japanese dragon art is very popular and this is just one example of what you will find in our antiques mall. Each of these stands about 12" tall and they look great. Click here to see these in our online store! Here's our video on the silk robe! 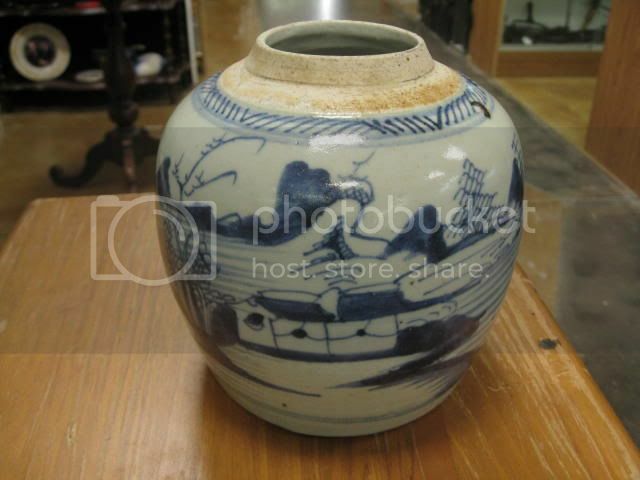 Click here to go from Asian Antiques to our online store! 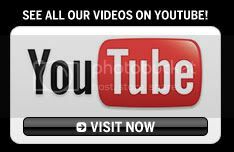 We have antiques, art, and collectibles displayed in a very easy to use website. You can see the treasures and purchase them striaght from the website. We add new merchandise to it almost daily. 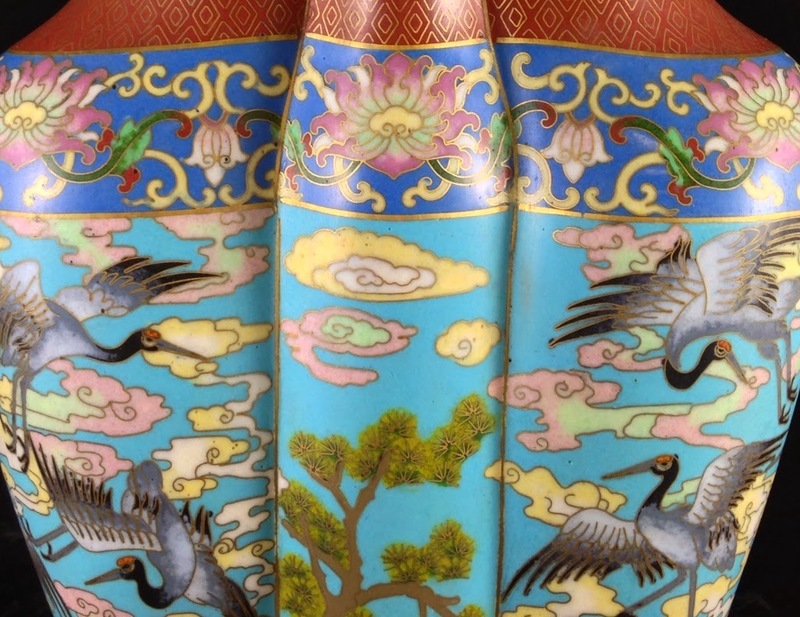 Asian furniture and antique Asian paintings are often mixed with antique furniture from other countries such as England, France or America to add interest to home décor. 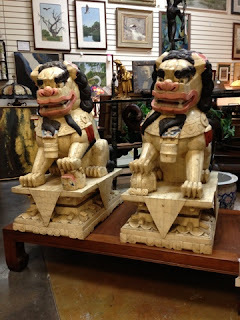 These are some of the antique Asian pieces we have on display in our large antiques and art mall in Southwest Florida. 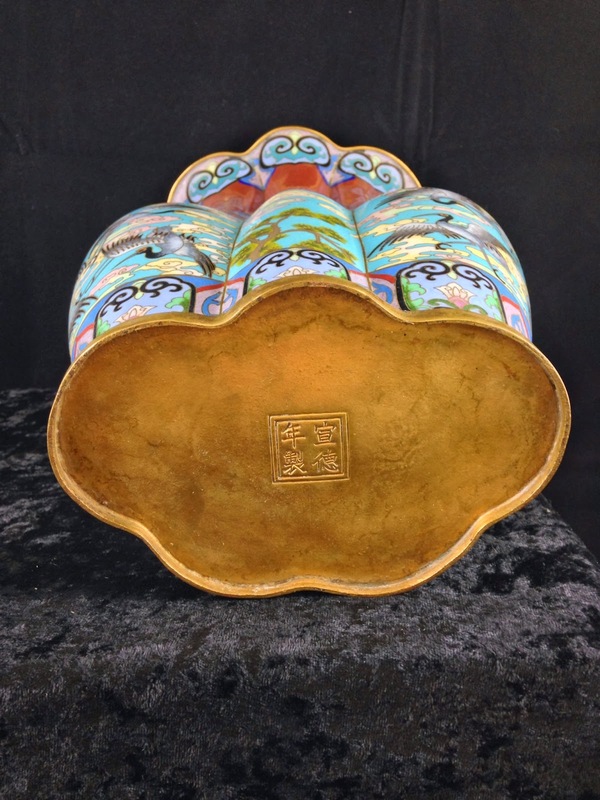 We showcase pieces including Tall Room Dividers, Antique Chinese Jade, Fine Antique Porcelain, Snuff Bottles and Antique Ivory Japanese Netsuke, Fine Antique Chinese Porcelain, Woodblock Prints and so much more. 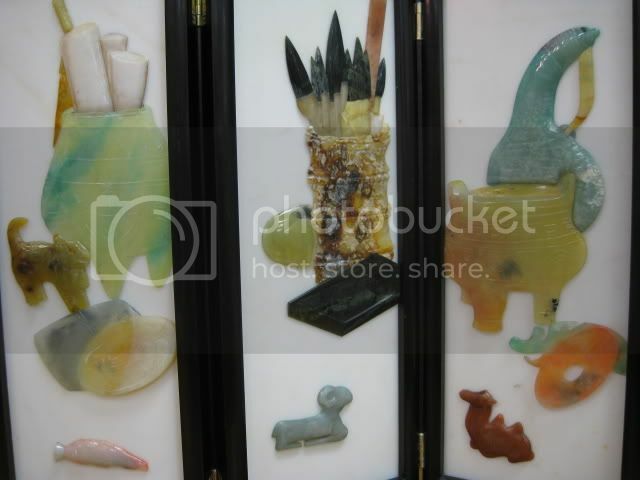 Below we have a small sample of the Asian antiques displayed in our mall. Come by and see our extensive collections in person!